Over a lifetime o f seeing clients with a multitude of complex and often bewildering symptoms, I can honestly say that there are always toxic exposures that have played a role in their illness patterns. I call this the three amigos: the big boys. They are heavy metals, hidden infections and biotoxic black mold exposure and illness. These are not your average toxins. They can knock you down fast and can lead to major discomfort, neurodegenerative and autoimmune diseases, and unexplainable illnesses. And for those of you who have been watching my Cellular Healing TV Episodes, you know one of my cornerstones of health is finding the root causes of health challenges. And for countless clients, they have been or are currently being exposed to many things, including mold and black mold spores, and many times unknowingly. I am not referring to a mold allergy symptoms. I am talking about biotoxic illness: biotoxins that are created from toxic mold and black mold spores. And these biotoxins make people very, very sick. Black Mold: Myth or Reality? Black mold and biotoxic mold identification and remediation (removing mold safely) are very tricky subjects, and ones I have been researching for many years. When I lived in the Pittsburgh area, I was fortunate to meet a gentleman who is an expert in identifying black mold and general toxic mold damage. Dan Howard is the founder of Howard Testing and Inspections, LLC, which is Pittsburgh’s premier mold and environmental firm. Dan is nationally recognized as an instructor and lecturer. He’s taught lectures for members for each of the three largest home inspection associations and has taught classes nationally and internationally. I recently interviewed Dan because he is a wealth of information regarding mold identification and remediation. Much of the information contained in this article is based on his informative interview. When faced with the idea of having a black mold problem in their home, I find some people get very uptight. Their knee jerk reaction is they don’t see or smell any mold so, therefore, they must not have a black mold problem. But many times, mold is hiding in undiscovered places. Also, many people use plug-ins that deodorize their home using a toxic chemical called formaldehyde, which can mask the musty smell of mold growth. So even if they do have black mold growing, they can’t smell it. Even worse, deodorizing plug-ins contain up to 6 different neurotoxins that can fry your brain cells, so never use any kind of home or car deodorizers (read more on how to detox your home here). If you suspect a toxic or black mold problem, where do you start in the process of mold identification? First rule is that you need to hire a company that does mold identification only and not mold remediation. That way you get a party that is not biased. Once identified, you then need to find a company that understands proper mold remediation and problem solving. Is Mold Only Present in Damp Climates? When we look at the floods caused by Hurricane Katrina, it is obvious how mold growth proliferated. Houses got flooded with water and to complicate matters, the water was contaminated with sewage, and that is perfect mold food. Also, other virulent pathogens were present in the sewage, causing a different set of toxic molds than you would normally find in a wet place. A mold nightmare. As Dan points out, some of the worst areas for toxic and black molds are Texas and Florida because of the wet and humid climates. But what about condos, homes and apartments in drier weather areas? Or what about new homes? How could they possibly have mold? Dan had many clients over the years that moved into a new home, only to get sick shortly afterwards being forced to vacate within 1-2 weeks. I Live in a New Home: Am I Safe from mold? Ironically so, Erin Brockovich built a brand new home and got sick from chemical exposures. She exposed the whole chemical company and saved a lot of lives. Many of us would never think that building materials used in construction might contain very dangerous chemicals. When building a new home, it is best to search out companies that do not use toxic building materials. One of my docs had a patient that built a home from scratch because she had been exposed to toxic mold in a previous home. But, unbeknownst to her, the air conditioning unit had faulty circulation, and there was toxic mold buildup in the air ducts that went unidentified. Another consideration with new home construction is the wood. The builder must make sure they are using dry wood. Many times, builders will use wood carrying too much moisture from rain exposure, and when sealed, it mold forms. Homes built right now are different from the construction of yesteryear. Today, we insulate our houses to make them airtight. We seal them up and there is no adequate air circulation. In fact, many experts say that we are over-insulating to better control the temperature. And add to that all the other chemicals that are present in building materials, and we have a major off-gassing challenge for years. Off-gassing means that certain toxic gases coming from formaldehyde or other toxic chemicals are able to continue to permeate the inside air. We go home, close the door and are sitting ducks, living in this toxic soup of bad air and chemicals. Add to the building materials dry wall, and with a bit of moisture build up, dry wall becomes mold food. And of course, there are our basements. You must continually check for leaks, humidity build up, and water accumulation. One thing we know for sure: if you have water in your basement, you have mold. Therefore, it is very important to have a humidity meter, especially if you live in an environment that is very humid, or you live in a place where it is cold. During the winter, or steamy summer months, because of a lack of air circulation humidity may be rising. If your humidity meter is above 45, you will likely have a mold problem. There are other factors contributing to mold build up. Take air conditioners for instance. Dan said that if you change your air conditioner and buy an oversized one for extra cool down effects, this oversized unit runs a shorter time. He explained, “Water in the ductwork in the basement will condense just like the ice water on the 4th of July, and leaks through, and gets your drywall, walls and your ceilings in your basement…If the oversized unit is on the rooftop, it could be that it’s just a humid day, and that’s where it collects. Then you have a little bit of dirt because there’s always dirt in ductwork, and bingo-bango, you have the perfect mold food… installers think they are doing you a favor by putting something in so you’re never going to be hot. They just don’t know they are putting you and your family at risk.” Bottom line: too much condensation in the air conditioning ducts can turn to mold. Dan said that if you put in a new furnace and don’t take care of venting a gas hot water tank correctly, you could have water vapor that doesn’t leave, which can cause mold growth on the ceiling above the hot water tank. So when you put in a new furnace, you need to put in a smaller vent to accommodate the lower heat of the hot water. It’s all about proper installation. Also, if you stuff too much insulation in the attic so water vapor can’t leave, you will have a mold problem. As you can see, this is a very complicated subject. How Do We Know We Have Mold? Most folks think that if you have a mold problem, you will see it growing everywhere, but many times that is not the case. Also if you have been living in your home for a long time, you may not even notice a moldy or musty smell. Dan points out that the easiest and least expensive way to identify mold is with air samples: testing for mold spores circulating in the air. Dan’s company is excellent at identifying the types of mold present in the home and his website offers information on what to look for in a company. When most people think of mold, they think of what surrounds the caulking in their shower or kitchen sink. But there are many kinds of mold that are dangerous and toxic to the human body. Names like Stachybotrys and Aspergillus are but a few toxic black molds that can be lethal. Stachybotrys is a virulent and very dangerous toxic black mold. The trichothecene mycotoxins produced by Stachybotrys are neurotoxic, meaning they can cross the blood brain barrier and kill brain neurons. With exposure, symptoms may include brain fog and mental confusion, extreme respiratory issues, circulatory problems, tremors, bleeding, vision challenges, immune system suppression and a myriad of other health challenges. And continued Stachybotrys exposure can prove lethal. In fact, with serious Stachybotrys infestations, houses and their contents had to be burnt to the ground because the mold spores were so dangerous. 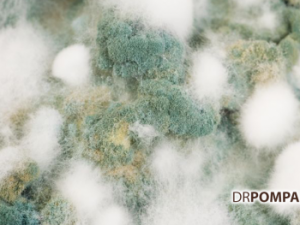 Aspergillus is another toxic mold that is a big threat to our well-being. In Pittsburgh, they recently shut down one of the country’s best transplant programs because Aspergillus was present in the intensive care unit for post surgery, and people were dying from the exposure. When you are on an immunosuppressant drug, Aspergillus grows in your lungs very easily. Aspergillus exposure can cause multiple symptoms, including fever and chills, blood streaked sputum from the lungs (hemoptysis) and/or severe bleeding from the lungs, shortness of breath, chest pain, joint pain, headaches, eye problems, nose bleeding and facial swelling. One of Dan’s customers had Multiple Sclerosis (MS) and he noticed that her condition was quickly deteriorating. It turned out that she was living in a house that was infested with a dangerous mold called Chaetomium. This mold can either trigger or aggravate MS! Green Home Solutions is a franchise system, and their training is very good. Their approach is to clean up the mold safely and figure out where it is coming from so the mold doesn’t come back. The big challenge with many people who are not getting better is that they’re in an environment that has too many toxins. And again, it can be a number of toxins that are present and causing widespread inflammation. For instance, if you put in a new hardwood floor and it is not cured properly, it can off-gas formaldehyde. Also, there is a lot of formaldehyde in home insulation, and this chemical will continue to permeate your home for years. Then our toxic bucket fills up, and the body can no longer tolerate the overwhelming amounts of toxins, mold spores, or chemicals contained in the building materials in our homes. If you leave your home and go on vacation and you feel better, that is a clue that your home needs to be evaluated. Or if you go to work and feel worse at the end of the day, that may be an indication that you are working in a sick building. It is so easy to go into denial that it could be your home that is making you sick, but we have to open up to this possibility. But what if you are the only one that has symptoms? In a family of 5, if you are the only one affected, it can be very confusing. The sick family member can’t figure out why they are the only one with symptoms. Or there may be one person working in the home and one person working outside the home, and the person affected is the one at home. Many times, no one makes that correlation. But here is the hidden problem. If you are among the 24% of the population who can’t develop antigens against mold, you will be left with major symptoms. The question is, how full is your bucket of chemical stressors? The problem is the sum of all your exposures, and many times it just takes one more toxin or stress factor to throw your body over the edge. I call this the perfect storm. And does that perfect storm turn on certain genes? Absolutely. I believe that genes are triggered and turned on. And it translates into many confusing symptoms if you don’t understand how to trace the root causes of disease. Where do we start when we are exposed? I look to two products from Systemic Formulas, GCEL and Bind. GCEL raises intracellular glutathione, which is how your body naturally gets rid of toxins. GCEL also down-regulates inflammation. Biotoxins from mold make their way into the liver, bind up to bile, and the bile’s reabsorbed, and keeps recirculating throughout your body, day after day. Bind pulls the biotoxins out of the bile complex. Adding CytoDetox* drops is going to be critical in binding those biotoxins. Unfortunately, mold exposure is more widespread than we can ever imagine, and it may be making you and your family sick. But again, if you don’t follow proper steps and procedures to rid your home of mold, the problem will get worse. Thank you Dan Howard, for providing us excellent information that I believe will save lives.